Michael Lange optometrist with Lange Eye Care in Ocala Florida offers macular degeneration patients a non surgical option. 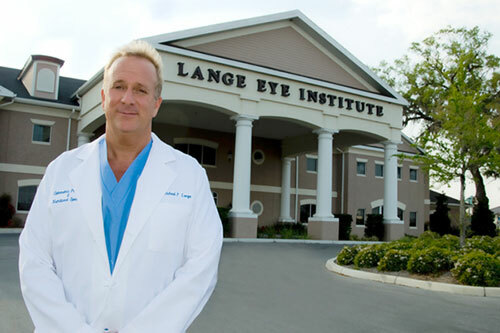 Michael Lange optometrist with Lange Eye Care in Ocala Florida offers macular degeneration patients a welcomed natural approach to complement their traditional therapies. Michael Lange Optometrist and nutrition specialist has been using a combination of dietary changes, supplements, life style adjustments and blue filtering lenses to help his patients with macular degeneration. Many patients have experienced dramatic changes in their overall health as well as their visual health when they follow Dr Langes advise. Michael Lange an Optometrist is also a 20 year talk show host that uses the radio waves to educate his listeners. The doctors at Lange eye care will do a comprehensive retinal evaluation using the very latest in technology, do specific genetic testing and possibly nutritional blood testing to gain vital information to enhance the care of each patient. Fortifeye Vitamins and new generation blu tech lenses also become one part of the macular degeneration protocol . Dr. Lange believes education is extremely important to both the doctors and the patients. He preaches the power of proper nutrition to doctors at conferences, the public at seminars, daily in his office and world wide via the internet and his radio shows. Dr. Michael Lange has also many low vision aids available for the macular degeneration patient that has become vision impaired. Many patients that have lost hope are able to regain much of their independence with a combination of low vision aids and proper nutrition. Lange Eye Care Ocala has a complete medical and surgical retina department patients may need to be referred to if their condition worsens. Dr. Lange states “the key is early detection”. If you have macular degeneration in Ocala Florida or the surrounding area come to Lange Eye Care Ocala for the very latest. Call 352 237 3768 for an appointment . Www.drmichaellange.com Or learn about nutrition for macular degeneration at http://www.fortifeye.com Keep the faith! Michael Lange Optometrist states Blutech lens is important for everyone. via Michael Lange Optometrist states Blutech lens is important for everyone.